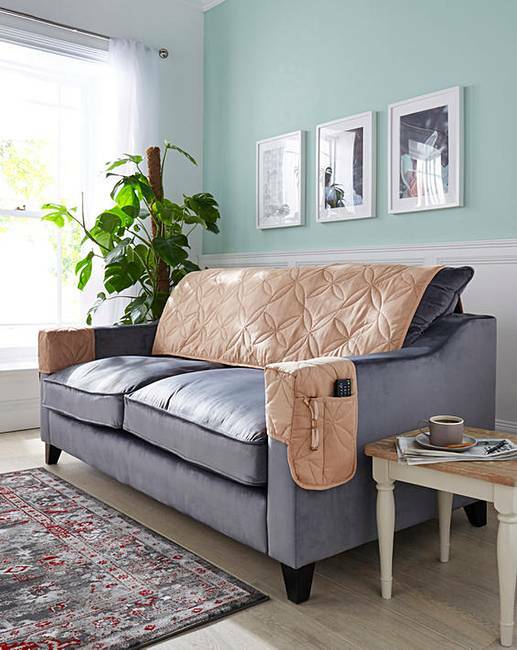 Faux Suede Furniture Protectors is rated 3.8 out of 5 by 16. 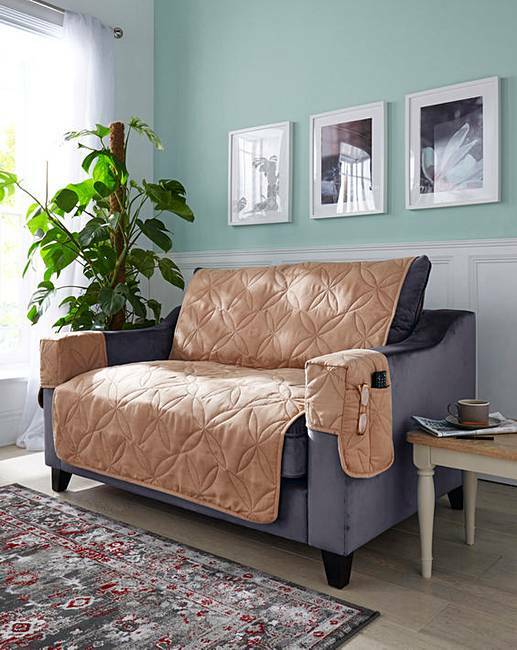 Exclusively designed by us, our deeply quilted faux suede covers are so luxuriously soft and plush, you'll love the comfort. 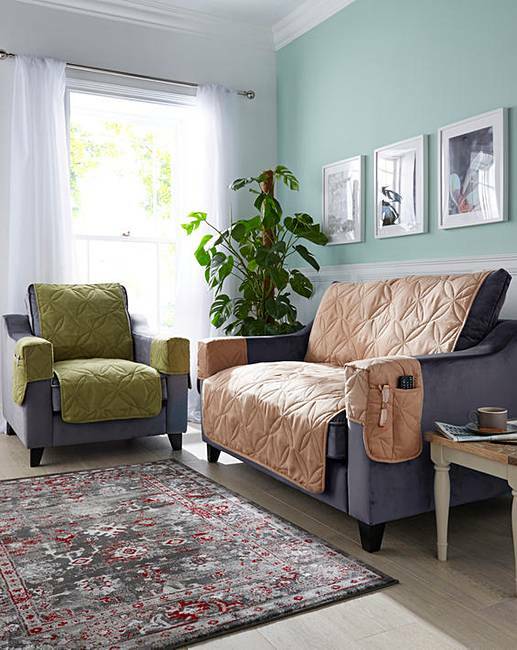 Plus you've the confidence of knowing they are fully machine washable to shrug off paw prints, spills, stains, dust and everyday wear marks, keeping your fine upholstery safe underneath. The covers all feature neatly bound edges and pinsonic stitching to hold the filling in place. We've colours and sizes to style any full suite, each supplied with matching arm caps. We're also offering our own unique design of pocketed arm organisers to provide a handy place for everything. They all fit in seconds with a slip-resistant backing to keep them in position. Rated 4 out of 5 by Shirl 1234 from \\\\\\\\\\\\\pleased with the quality Although I am very pleased with the colour - the only thing is it will not stay put in the chair when you use chair -any ideas how to keep it firm to chair? Rated 1 out of 5 by ceecee152 from Disappointing Does the job but the fabric is thin. The arm rest covers do NOT have the pocketed arm organisers at all for TV controls as illustrated in the photo. They are not "deeply quilted" but just have a swirly pattern machined into them with a very thin filling of some sort. Would not buy again. Not worth the money. Rated 2 out of 5 by Aura from None that suited us Sent items back, did not look good in a modern home setting, very old fashioned. Rated 5 out of 5 by babs from Good sofa protector I bought two sofa protectors in the sale & feel they are really good vale. They are light enough to wash & dry easily but provide good coverage to protect sofa from my dogs. I have a high backed sofa so need to put cover well over back as they do slip a bit. They have a nice finish which remained after washing. 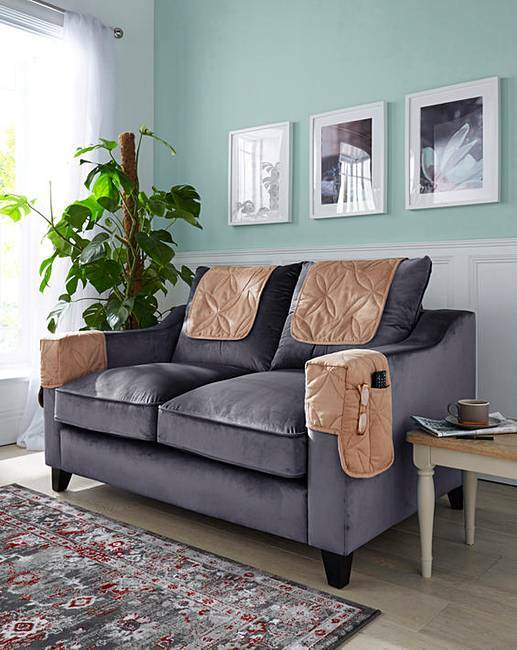 Rated 5 out of 5 by ISD from Great Backing Bought recently to cover leather sofa - the backing helps to stop it slipping so much. The faux suede surface is lovely - looks more expensive than a previous polyester set! Very pleased with my purchase. More colours would be great too. Rated 2 out of 5 by Staffslady from Sadly not very good These covers are very disappointing as they keep falling and moving, leaving the sofa and chair looking very untidy. This is because there is nothing on them to keep them in place. Rated 4 out of 5 by Mick from Nice Quality But Does Slip Purchased for a settee and two armchairs, these are nice quality protectors but unfortunately do not appear to be non-slip unless you are sitting on them (i.e. when they are weighted down). They are probably fine on a suite of coarser cloth material but sadly not for mine - so returned with no problem. Rated 3 out of 5 by Redpanda from Look good I have recently purchased this for a new chair. Initially they look great. However , once you sit in the chair you soon realise there is no way to anchor them in place so I am presently thinking of ways keep them in from ending up in a crumpled heap.